10 x CACIB, Sweden, Denmark & Germany under ten different judges. Winner in total of the group ten times under ten different judges. 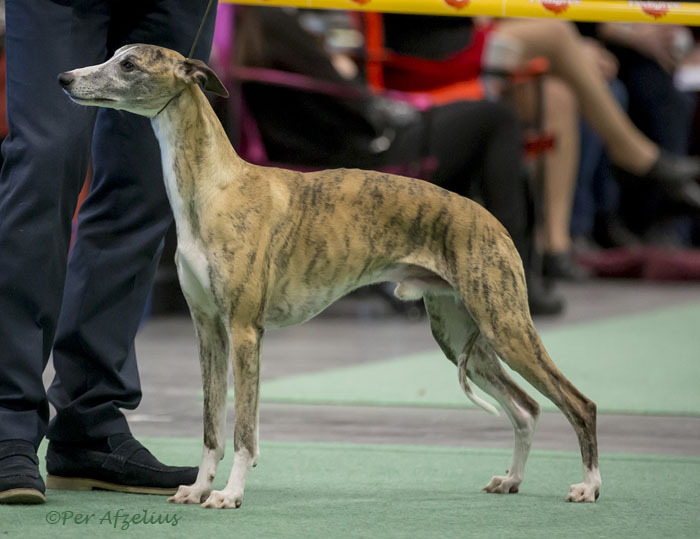 BIS at special level & BIS at special, sighthound and Kennel Club level.